Wood Buffalo Mayor Don Scott has set his sights on a charm offensive with Canadians. 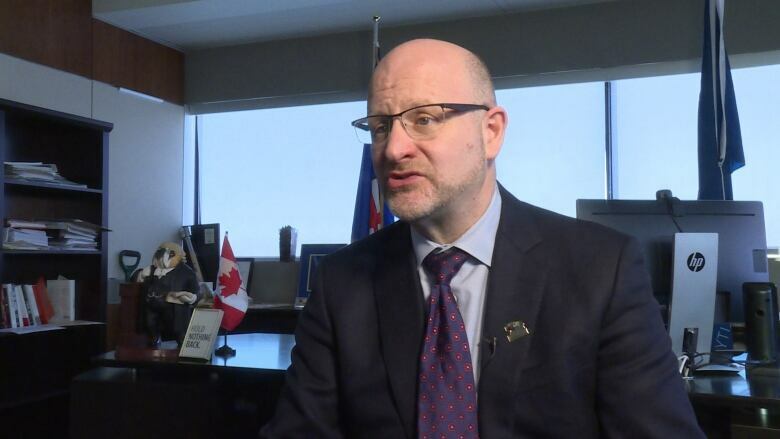 The mayor of Canada's oilsands capital says one of his priorities for 2019 is changing the way Canadians look at Fort McMurray. In the new year, Wood Buffalo Mayor Don Scott has set his sights on a charm offensive with Canadians. When people talk about Fort McMurray, Scott wants people to think beyond oilsands mines and camps, and instead imagine family-friendly communities with world-class recreational facilities surrounded by more protected forests and parks than most communities in Canada. "They know that we are the economic engine of Canada. They've heard of us. Some have positive views. Some don't," Scott said in a year-end interview with CBC. "If people saw the reality of how great this region is, I think they would have a much easier time believing that this is a place to live and invest." By getting out a better brand for Fort McMurray, Scott hopes to attract more investment and convince more people to move to the community rather than flying in and out for work. Other oil patch boosters have taken more confrontational approaches — especially when it comes to getting a pipeline built that could take Fort McMurray's bitumen to new foreign markets. Political figures such as former Fort McMurray MLA and opposition leader Brian Jean recently called for a boycott of Quebec-made products after \Premier François Legault said there was "no social acceptability" in his province for a "dirty energy" pipeline from Alberta. WATCH former Fort McMurray MLA and opposition leader Brian Jean call for a boycott of Quebec products. Earlier in 2018, Alberta Premier Rachel Notley issued an outright ban on British Columbia wine and passed the so-called "turn off the taps" legislation that would allow the province to cut off energy shipments to B.C. Notley's actions were sparked after B.C. 's made further attempts to block the Trans Mountain pipeline, arguing it posed environmental risks for the province. Meanwhile, he says he's still working all political back channels, including meetings in 2018 with Prime Minister Justin Trudeau and Notley. "I think the advocacy by Albertans has really worked. When I travel and I talk to other Canadians they are much more familiar with the challenge right now," Scott said. "And they are much more supportive of pipelines. I feel like we are heading in the right direction." Promoting the Fort McMurray brand will happen, in part, through the newly created Wood Buffalo Economic Development Corporation, which recently appointed Kevin Weidlich as the new CEO.